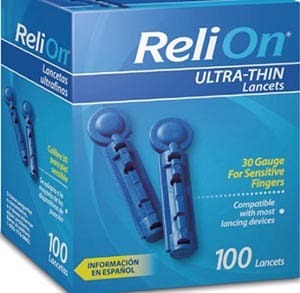 For my patients who have no insurance, ReliOn products at Walmart are a lifesaver. In North Carolina, we never funded Medicaid expansion. Some people could receive Obamacare through the federal marketplace, but others were left in the gap where it was too costly for them. The tax penalty was less, so they took the penalty instead of buying coverage. For those with Type 1 and Type 2 Diabetes in the no insurance gap, for those in the “Medicare donut hole,” and for those in disaster situations, ReliOn insulin is available at a very affordable cost. 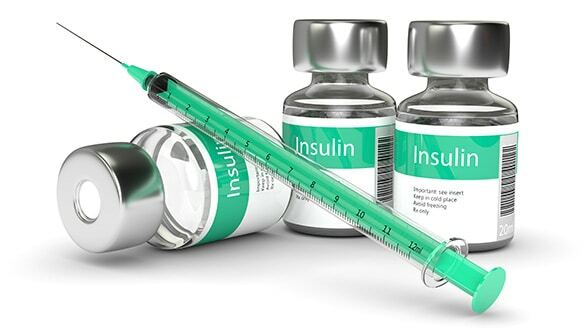 If you want insulin at a cheaper cost, it is important to be aware of some of the differences between ReliOn insulin and name brand insulins. Renee had Type 1 Diabetes, and couldn’t afford her insurance coverage here in North Carolina. After running her insurance cost numbers on the Federal Marketplace, she would have to pay $300 per month for catastrophic coverage that wouldn’t even cover her diabetes medications. Her husband had lost his job, and she worked at a grocery store, where she didn’t make a living wage, or have any insurance benefits. She came in crying. She needed help, because she had lost her insurance coverage, and she was about to run out of her insulin. She was afraid of what might happen to her, and what might happen to her little boy, if she ran out of her insulin. We referred her to a social worker who could help her with needed resources, and see if she could qualify for Medicaid, or start social security disability determination so she could get insurance when determined disabled. In the meantime, we spoke with her doctor, and he gave us conversion doses for Renee to switch to the ReliOn brand of insulins at Walmart. She had to take a combination of ReliOn Humulin N injections twice daily, and shorting acting, regular insulin with meals. We discussed the increased risk of low blood sugar that she could have by switching from her Lantus basal insulin once a day, and moving to the new intermediate acting insulin. The new short acting, regular insulin was a little slower to bring down blood sugars than her usual rapid acting meal-time insulin, so the doctor made some adjustments for that. With a little help, Renee switched to a very inexpensive brand of insulin, which she could afford it at the low price of $25 a vial. ReliOn fits that bill for times when people with diabetes will need a cheaper brand of insulin. Renee had a little more to do. She had to draw up her doses instead of using a more convenient insulin pen like she had before, but she got used to it. 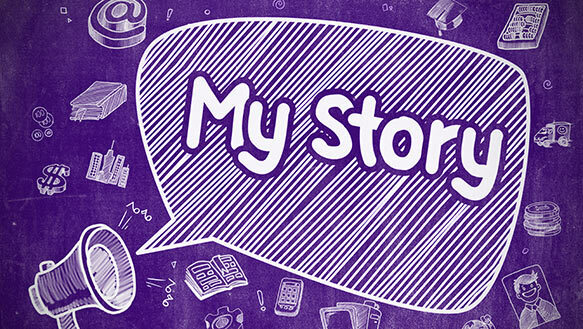 Her doctor later helped her to get some insulin pens that were similar in action to use when she went on trips, or out in public and needed a more convenient option. While using ReliOn, she didn’t do half bad. Her A1C during that time only went up a few tenths of a point, and her blood sugar ranges were like when she was on name brand insulin. With extra instructions, and careful consideration, Renee avoided low blood sugars from switching to ReliOn older generation insulins. She could also manage her blood sugars to avoid high blood sugars as well. For Renee, ReliOn was a good choice, and may have been her only choice. What is Rapid or Fast-Acting Insulin? Is Inhaled Insulin a Promising Treatment on the Horizon for Alzheimer’s Disease? Is ReliOn insulin different from other name brand insulins? The Walmart brand of insulins are the older generation of insulins, and so they don’t provide quite the same coverage for blood sugars. They have a shorter half-life than name brand insulins. They are still human insulin. When you need insulin, and have few resources, ReliOn insulin may be one of the options for you. You will need to speak with your doctor, and be honest with him or her about your ability to afford your diabetes medication. Discuss all options, and determine together the best course of action. 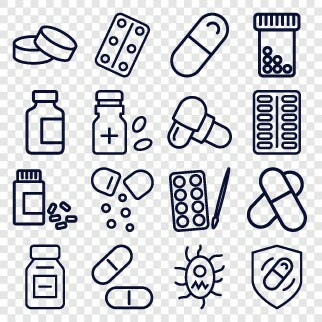 There are other options besides switching from your name brand, such as rural health center programs that may cover medication, senior centers with drug programs, drug company indigent programs, and churches and organizations who have funding for medications. Churches and some organizations may offer help on an one-time emergency basis. 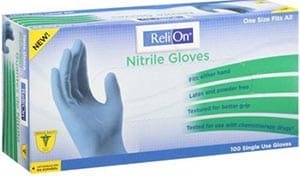 There are also other ReliOn products that I recommend to my patients with no insurance coverage. In this article, we will discuss ReliOn insulin, and learn how effective it is for the treatment of diabetes. We will also learn about the other products that patients with limited financial resources, and no insurance or under insured, can use to help manage their diabetes at a low cost. What kind of insulin is ReliOn? ReliOn insulin is a type of Novolin insulin that Walmart and Sam’s Club Pharmacies carry over-the-counter. They only have vials available, so you will not have the option to use an insulin pen with this insulin. Walmart has switched back and forth between Novo Nordisk and Lilly (Humulin) through the years. Currently, there is a corporate partnership between Walmart and Novo Nordisk. 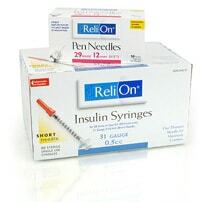 Walmart has the ReliOn brand of Novolin insulins exclusively, and at a reduced rate. 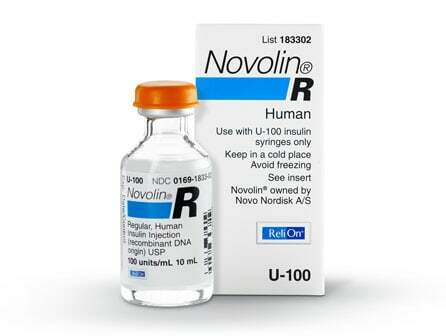 ReliOn Novolin is a human insulin, and it works to bring blood sugars down in a similar way as do other insulins. Each vial contains 10 mL of insulin. When you change the strength of your insulin, the manufacturer, the type of insulin, or the species of insulin, it can make a difference in how your blood sugars react to switching to ReliOn insulin. Even the method of manufacturing can make a difference in the effectiveness of your insulin. ReliOn insulin products, and other diabetes products, are estimated to save people with diabetes sixty million per year. Walmart also has some of the lowest prices on name brand insulin products, of the newer generation of insulins, due to their great buying power. There are three different kinds of ReliOn Novolin insulins available. There is regular, or short acting, intermediate (N), and a mixed 70/30 available in the ReliOn line of insulins. Novolin R works like regular, short acting insulin. It is a regular, short acting insulin, but the half-life is a little different on this version of short acting insulin than it is on the newer generation of insulins available. Novolin N works like the intermediate acting insulins on the market, though it is also from the older generation. 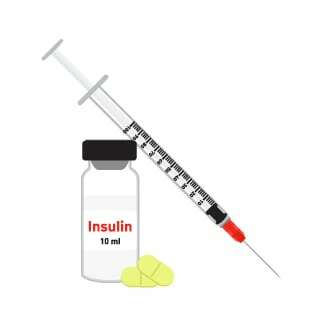 If you switch from a long-acting insulin to an intermediate acting insulin, you will need to take two, instead of one injection per day. Talk with your doctor about how taking the cheaper insulin may affect your diabetes management. 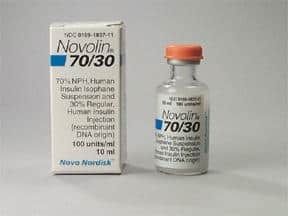 Novolin 70/30 is a mix of intermediate, and short-acting, regular insulin. Also of the older generation, you will need to watch your blood sugars carefully if you switch to this from a name brand insulin. Again, keep in close contact with your healthcare provider. The percentage of each type of insulin in the mix causes this insulin to start working quickly, in 10 to 20 minutes. It peaks in a time span of two hours, and will work some for the entire day, up to 24 hours. The main side effect you could get from all these insulins is a low blood sugar. Keep a source of fast-acting carbohydrates with you at all times, such as glucose tabs, gel, hard candies, or juice boxes. 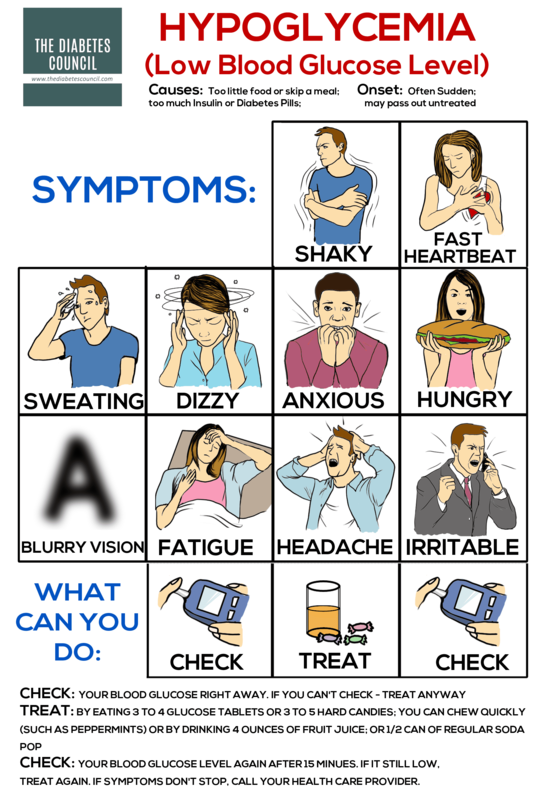 If you experience any episodes of hypoglycemia, you will want to tell your doctor. It’s the most dangerous acute complication of diabetes, and even just a few episodes can increase your risk for death. Your doctor may want to prescribe a glucagon injection pen kit for severe episodes of low blood sugar. Your family and friends may have to learn to give the injection in the kit, and why they are giving it. Low blood sugar episodes are another reason why you shouldn’t switch to ReliOn insulin without careful consideration, and a good heart-to-heart talk with your doctor. What else should I be watching for with ReliOn insulin? Switching your insulin to an older generation can affect your blood sugar regulation. Other things that can affect your blood sugar levels are illness, stress, exercise, skipping meals, drinking alcohol, or infections and surgeries. You still need to manage your diabetes by following a healthy diet, counting your carbohydrates, not skipping meals, and getting some activity – about 30 minutes, five days a week. Both ReliOn Novolin N, and the mixed insulin, Novolin 70/30 (which is a mixture of Novolin N and short, regular, ReliOn Novolin R insulin), have a cloudy look to them. If you see any particles in the vial, call the pharmacist and return the vial. Don’t inject the insulin. Read your medication and safety instructions that the pharmacist gives you. 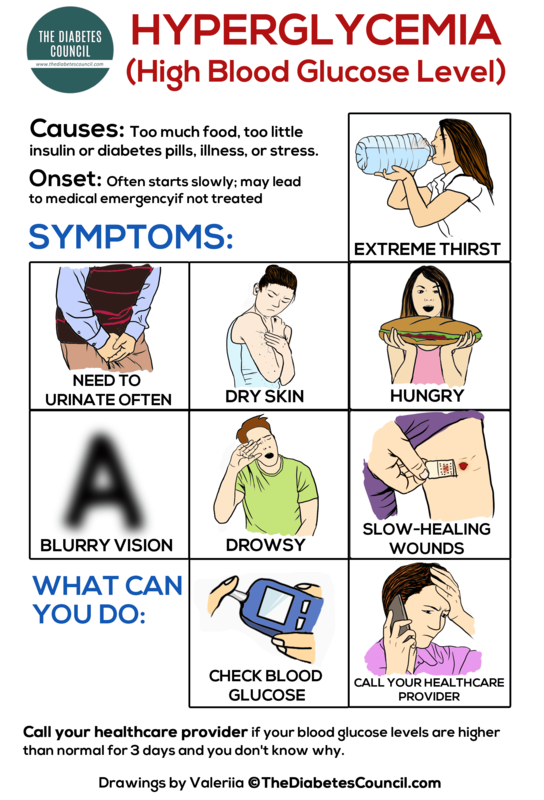 If you have questions, be sure to ask the pharmacist, and always wear a Diabetes Alert tag, or alert, to clue in emergency workers about your condition. Since you take ReliOn insulins with meals, you should make sure not to skip meals, and to eat a meal after taking your medication. Don’t double up doses, or try to make up for any missed doses of ReliOn insulin. Always keep your insulin on hand, and make sure to get more before you are close to running out. How do they work for the treatment of diabetes? Novolin is a synthetic human insulin of the natural hormone, insulin, that is produced in the beta cells in the pancreas. Insulin regulates blood sugar, but it’s either missing or has decreased in production in people with diabetes. It works in the same manner as the body’s human insulin, but not quite as well. It also doesn’t work quite as well for the treatment of diabetes as the newer analogue insulins do, though there has been one study that found differently. In short, ReliOn insulins are human insulins, but they are made in a lab. Therefore, it’s not quite the same as the insulin our beta cells make, or the same as some of the newer insulins available on the market. With some education about how to use it correctly, it can work quite well. You just have to work closely with your Diabetes Care Team to make sure you understand how to avoid low and high blood sugars. Monitoring your blood sugars more often, while you find out how your blood sugars will react is very important. Besides low cost, achieving goal is possible with ReliOn insulins. It may take a little extra work to adjust dosage, and figure out how your blood sugars react to ReliOn. We have looked at just about everything that there is to know about ReliOn insulins, including the benefits. But what are the drawbacks? We know they are cost effective, and that’s a good thing, and that we can get similar coverage for diabetes if we work with our provider on dosing. The new analog long-acting basal insulins (ex: Levemir, Lantus) work longer than older insulins like ReliOn. They keep an even blood sugar level throughout the day, and they don’t ever hit a peak in action. Intermediate-acting Novolin N ReliOn insulin from Walmart must be taken twice daily, and you must be more flexible with your meals and activities. You also need to know how to use it safely. How to take them or how should they be used? ReliOn insulin is taken in the exact same way as other name brand insulins. It is given subcutaneously, under the skin, in a site where there is some subcutaneous fat tissue to pinch up. 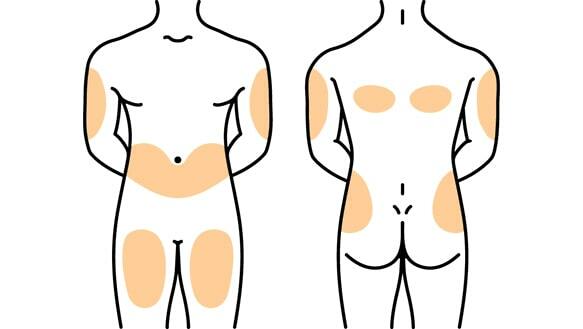 The insulin injection sites are shown below, and include subcutaneous tissue in the arms, abdomen, and sides, and the front of the thighs. Tissue on the back may also be used with assistance. Make sure you follow directions on the prescription label, and use the insulin just the way your doctor told you to. Properly dispose of your dirty needles in a puncture proof container, and when full, cap the lid. Write “Biohazard” on the label, which you can throw in a regular trash. This is to protect sanitation workers from being stuck with dirty needles. Keep the sharps container away from children and pets. You could use a two-liter coke bottle, a Clorox bottle or a coffee can with a lid, or you can buy a ReliOn sharps container at Walmart. You also shouldn’t ever share insulin needles, or use them again after the first injection. ReliOn insulin can never be used in an insulin pump, or mixed with any other insulins. Always give it in the subcutaneous fat, and never inject it into a vein or a muscle. Your diabetes educator or healthcare provider will show you how to draw up and administer your injections, and where the best places to give them are. You should rotate your sites around, so that you don’t get lipodystrophy. After taking the Humulin N and regular 70/30 mixture of ReliOn insulin, a full meal should be eaten within the next half hour to 45 minutes. How many times do you take ReliOn insulin a day? You will take ReliOn based on the dose given to you by your doctor and your pharmacist. If you don’t understand your dosage, make sure you talk to them. There are many different doses, and combinations of insulin that can be prescribed. Generally, Humulin 70/30 or N could be given two times per day, and Humulin R could be given three times per day with meals. Who can take Relion insulin? People with Type 1 Diabetes must take insulin to survive. People with Type 2 Diabetes may need to take insulin, along with other oral diabetes medications. Both people with Type 1 and Type 2 Diabetes can take ReliOn insulin. It is just another type of insulin, from the older generation, and less costly. To take the ReliOn 70/30 mixture of Novolin N intermediate acting insulin, and Novolin R regular, short acting insulin, you must be over 18 years of age. Can you take them during pregnancy and breastfeeding? Insulin by far has the longest history of safety when used during pregnancy and breastfeeding. It’s likely that your OB/GYN will prefer for you to be on the newer, name brand analog insulins while you are pregnant. You need to make sure that you control your blood sugar tightly while you are pregnant, so that the baby will be healthy. Be sure to talk to your doctor before switching to ReliOn insulin during your pregnancy. We still have Title X Family Planning funding available. If you are having trouble paying for your name brand insulin when pregnant, you can then get on a Family Planning Medicaid waiver to cover your pregnancy, and insulin needed. Insulin doses can change during your pregnancy and breastfeeding, so be sure to keep in close contact with your healthcare provider. How do they work with other diabetes medications? ReliOn insulins may be taken with other oral diabetes medications and injectables. However, some combined with insulin increase low blood sugar risk. There are so many different combinations of diabetes medications and insulin, that it would be difficult to list all drug-to-drug interactions here. One example is that when taken with Pioglitiazone or Rosiglitazone, which are TZD medications for Type 2 Diabetes, ReliOn insulin (and insulin in general) can increase risk for heart problems and low blood sugar. How effective are ReliOn insulins? ReliOn insulins are more effective than having no insulins. In the past, many patients have shown up with crazy A1C’s and blood sugars, and you suspect they aren’t taking their insulin. Often, they don’t want you to know that they can’t afford their medication. An open line of communication often reveals that they are unable to afford their medication. A lady that I worked with had a brother with Type 2 Diabetes. He lost his job, and was ashamed to tell his wife that he ran out of insulin. After running out of insulin, he ended up in the hospital with diabetic ketoacidosis, and later died as a result. Not having insulin when you need it can be serious business, so cheaper, older insulin will have to suffice. You will see patients who either don’t fill prescriptions, or they will take medication several days a week, and skip the rest to try to save money. In these situations, certainly older insulins are effective, and without them, where would these patients be? Many diabetes drugs are so expensive now, that people can’t afford them, even with a co-pay on their insurance. For most people, the effectiveness of cheaper insulins like ReliOn can be similar. For the older biosynthetic insulins, such as ReliOn, they are going to take longer to work, and the NPH insulin (Novolin) peaks in 4 to 10 hours. The new generation of brand name insulins are called analog insulins. These insulins have a different sequence of amino acids. Genetic engineers have changed them up a bit, so that they are available to our body, but they take some time longer to absorb. For patients without the means, ReliOn “old style” insulins may be the best and most cost-effective strategy. They are very effective in certain situations, with the right dosing, monitoring of blood sugars, and avoidance of hypoglycemia, or low blood sugar. For some research related to the effectiveness of ReliOn insulins, a study published in Diabetes Care in 2009 concluded that NPH and regular insulins could be just as effective to manage blood sugars in patients with Type 2 Diabetes as the newer insulin analogues. People with Type 2 Diabetes were capable of achieving A1C and blood sugar goals with older insulins. You can’t get ReliOn insulins online. You must go into the Walmart or Sam’s Club Pharmacy, and ask for it. The pharmacist keeps them behind the counter. This is so that they can confirm with your doctor to ensure the switch is recommended. Still, the pharmacist would sell you the insulin over-the-counter, such as in emergency situations (hurricanes, floods) where insulin may be destroyed. Once you use your vial of ReliOn insulin the first time, you don’t have to refrigerate it. Store any unused vials in the refrigerator to be used by the expiration date. If you store vials at room temperature, you must use them within 31 days. Discard any unused insulin after 31 days, whether stored outside or inside the refrigerator. Don’t ever freeze insulin. In the refrigerator, keep it away from the cooling component. If your refrigerator malfunctions, and somehow freezes your insulin, don’t use it. The patient information leaflet that comes with your ReliOn insulin in the box will have further instructions, so be sure to read it. Your ReliOn insulin, like other insulins, must be kept away from direct sunlight and heat. Don’t pre-draw syringes of insulin. Wait until it’s time for your injection to draw up your insulin. All ReliOn insulins are $24.88 a vial. Technically, ReliOn is an over-the-counter insulin, which doesn’t require a prescription. This is in part why it has been used so much during the recent disaster situations in Texas and Florida. When your primary supply of insulin is ruined, you should be able to get it with no prescription over-the-counter. If it’s not an emergency, the best thing to do is to talk to your doctor about your current dosage and brand of insulin, and discuss how you could switch over to the cheaper insulin if necessary. In fact, Walmart has a system set up, so that people don’t switch to the cheaper insulin without first checking with their doctor, and obtaining a new prescription. Even though ReliOn insulin is over-the-counter, and you can get it without a prescription, the pharmacists still want to make sure that you have looked at how the new insulin will affect you, and discussed doses with your doctor. Walmart offers the services to call the doctor on the patient’s behalf, so you could walk in and ask the pharmacist to consult your doctor for a prescription and doses for your switch. These are safety precautions that you need to follow. You really don’t want to be playing around with insulin, and you need someone to help you understand how the switch might affect you. Over-the-counter ReliOn insulin from Walmart and Sam’s club is not covered by insurance. You may still need a prescription to switch from name brand insulin. This is for your safety when switching brands and types of insulins. Who do I contact in case of emergency? If you think you took too much ReliOn insulin, or any kind of insulin, you should call 911, and call the poison line at 1-800-222-1222. Can You Be an Astronaut If You Have Diabetes? Managing Diabetes Without Insulin – Is It Possible? What are DPP-4 Inhibitors for Type 2 Diabetes? What other products does ReliOn offer, and the prices? The following is a list of some of the products that Walmart and Sam’s Club carry for diabetes self-management. 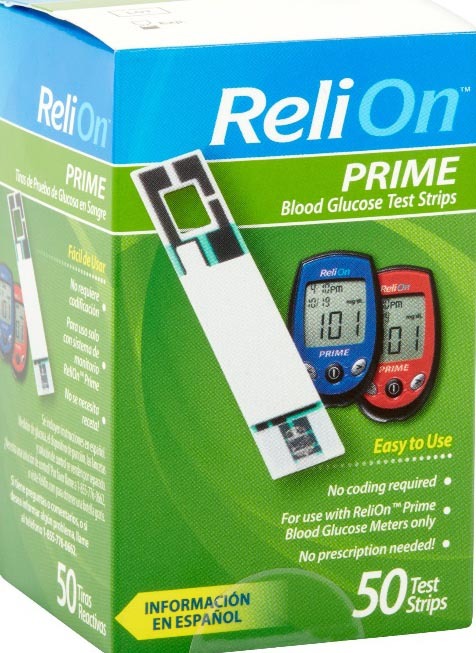 This list includes their most inexpensive glucometer, the ReliOn Prime. The Prime meter by far is the least expensive meter and supplies, and strips are very affordable. There are some other glucometers available. The ReliOn Ultima monitor is a little more expensive than the Prime monitor at $14.98. Strips and supplies for this glucometer are on the pricey side as well. 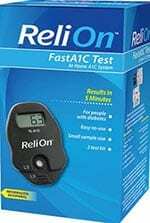 The ReliOn Confirm meter is at $14.98, but the strips are much more expensive at $35.88 for 50 strips. 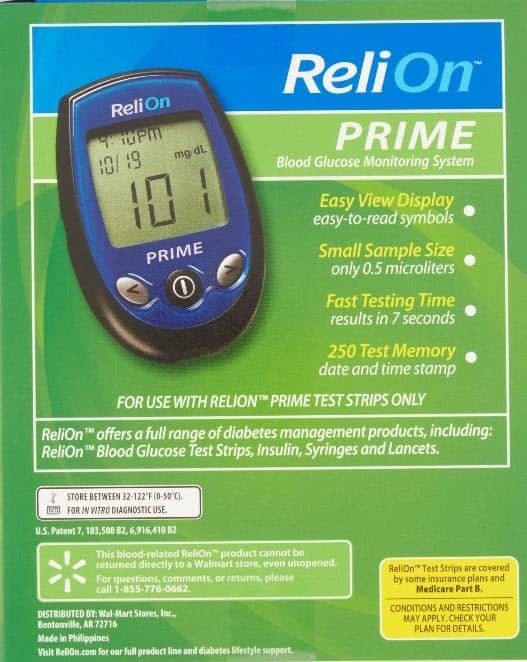 There is also a ReliOn All-in-One Compact blood glucose meter for $19.97. Below, we have compiled a list of ReliOn supplies, including the prime meter, and related supplies to go with it, along with the current prices as of November of 2017. Also included in the list are ReliOn insulin needles, A1C rapid test, pen needles, and gloves. The pen needles were out of stock at press for this article, as were the A1C test. They also have ReliOn ketone testing strips for $7.85, alcohol pads for $4.66, and a variety of other useful products for diabetes management. For a full listing of ReliOn Products for diabetes management on Walmart’s website, visit: https://www.walmart.com/search/?query=relion&cat_id=0 , or visit your Walmart Pharmacy, and speak with a pharmacist about what products may be right for you. Note that you can’t order insulin online. You must go to the store for over-the-counter ReliOn insulin. 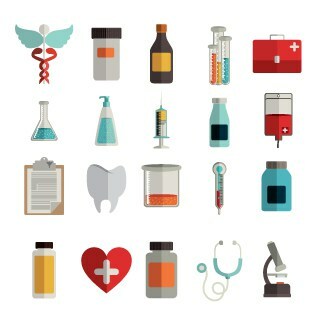 The pharmacists and staff are also very helpful in helping you get the supplies together for a new set-up, so that you don’t have to make special trips back for forgotten items. Meter only – $9.00. Click here to learn more. Lancing device – $6.97. Click here to learn more. 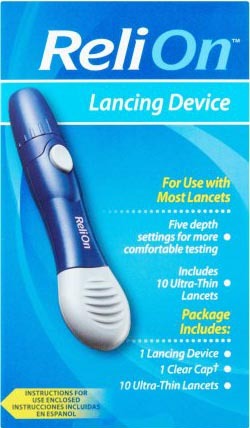 Lancets – 200 count $2.18. Click here to learn more. A1C test – $22.88. Click here to learn more. We hope you have learned a good deal about cheaper, older insulins available by reading this article. If you have any questions, or if you have tried the ReliOn insulins, and would like to share your experience with us, please do so in the comments box below. Yes , your article about Renee and your entire ReliOn advertisement sounds like text book academic nonsense, as people who know nothing about about diabetis but from observation or very financially privileged diabetic experience. Was this article written by someone like Donald Trump or some other politician jerk. As a 50+ Yrs type 1 ,I tried ReliOn and found that If I had continued using them that Well,I would not be responding now to this advertisement page. I would be dead,totally blind and or on dialysis. and just FYI any lifetime type 1 knows that A1cs mean absolutely nothing. The whole medical world is delusional and for sure well payed. Charles, I believe you were in a hurry when you read this piece to make such a comment. I shall leave it to that. This helps for those without medical insurance and yet able to manage their diabetes properly. This is going to help many patients who are determined to learn the proper usage of this older version of insulin. I have family members on the older versions and are doing very well. Thank you again and to Walmart as well. I had to switch to the ReliOn brand a couple of years ago. 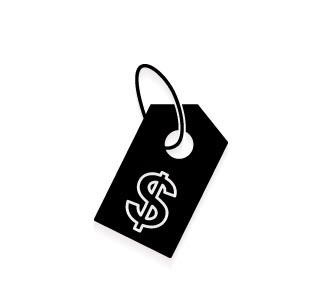 I am disabled and widowed, on a fixed income and MediCare, but even the co-pays on the name brands became prohibitive. Thankfully, my experience has been very positive. In fact, beyond my wildest dreams. Unlike Charles, I am a Type II; and, the two types are very different. Yes, you have to use needles with this brand but I started out using needles so it wasn’t a big deal. When using the name brands, I needed at least 40 units of the short acting with light meals, and 120 units of the long acting twice a day. Even at those doses I could never get below an A1C of 7.5. When I switched to the ReliOn brand, I was careful to cut my dosing in half and titrate from there. Since the switch, I use 15 to 20 units of the short acting with meals and 60 units of the long acting twice a day; about half of what I needed of the name brands. Nothing else has changed. Not meds, meal plan, weight, nothing, and my A1C’s started coming down. The first one after the switch was 6.9. Now they bounce back and forth between 6.1 and 6.4. Once it was 5.9 and Doctor ordered me to slack off a bit because I was having low B.S. during the night. Luckily my dog would wake me up to eat. Other advantages for me is that the short acting takes around 30 minutes to start acting so it makes navigating mealtimes easier and less stressful for me. I’m not in so much of a rush to either get the insulin in before the meal, or to start eating once it has been taken. Also, it stays in the system longer, which is great for me because I am a notoriously slow eater and I don’t always eat a full meal at once. I might eat half or less but eat more a couple hours later. The insulin is still in my system so I don’t have to re-test and take more like I had to do with the name brand. Last, it doesn’t burn when injecting nearly so bad as the name brand and the bruises on my tummy aren’t nearly as bad. The needle size and length are very close to the pen needles, so that isn’t the difference. Plus, the needles are much less expensive too, by about half. So, less insulin, vastly improved A1C’s, and more comfort have been my experience. If you need a cheaper alternative please don’t be afraid to try the ReliOn brand. This year my insurance is not paying anything on this drug. Since I need 5 vials total for a month this runs $125 per month from Wal-Mart. That is roughly the cost of one co-pay for the name brand insulins. Thank you for the detailed article. I previously used Humalog 75/25 and with insurance it was very expensive. I now no longer have insurance coverage as it was too expensive in 2018 to keep. As recommended by my Endocrinologist, I switched to the Walmart 70/30 insulin. It took about one week to get the correct morning/evening insulin dosage. And now my current A1C is better than ever! My fasting “sugar” is at the target my doctor recommended. I also no longer feel sick. The authors talks about the “differences between Re-Lion brand and brand name insulins”. Wal-mart’s Re-Lion insulin is NOT generic insulin. In fact, there are no generic insulin’s. It’s not allowed, by law. It’s the same exact Novolin that you buy in other pharmacies, manufactured by Novartis (in Denmark). It’s not ‘similar” to it. It IS it. What is your experience with using the over the counter insulin in an insulin pump. The article says that you should NOT us with a pump…. This medicine has worked for me, for the past few years. However, when I went to pick up a vial at Walmart yesterday, the price had gone up to $144 a vial! As I use three or four a month, and can barely afford that $25 of vial, I certainly cannot afford the price increase. I have maybe one or two injections left in my last vial. I am at a complete loss as to what to do now. I take 200 units of Lantus daily with 16 units apedra 3 times a day. How will I use Novolin 70/30 instead? I guess I don’ t exactly know the right question to ask. Will the Novolin 70/30 be an adequate substitution to the Lantus? There is a typo stating that ReliOn R needs to be taken 30-45 minutes “after” a meal, when it should be before. Once this is corrected, I will happily share this website with my patients! That statement is correct and from research. Novolin N being intermediate acting but acts faster than newer versions of N.
For 17 years I used NPH and Regular insulins to manage my IDDM. I was taught that NPH acts primarily as a basal insulin. Taking NPH to cover a meal is not what it was designed for, at least with IDDM. Regular insulin is designed as a bolus insulin and should be used to cover meals, snacks and certain hyperglycemic events. Given that it takes approximately 30 min. for Regular to begin lowering blood glucose levels I can’t see the logic in taking it 30-45 min. post prandial. I find it hard to believe that any properly trained health care individual would recommend injecting a bolus insulin, old or new generation, 30-45 minutes after a meal is ingested. I ran into the exact situation you did. They had made a mistake and grabbed the wrong vial of insulin from the fridge. They were out of the reli-on brand but had it back in stock the very next day at the price of 24.88$. In January 2018 Aetna (CVS Caremark) changed their formulary list to exclude all Eli Lilly and Relion (Walmart) Insulin products in favor of Novo Nordisk Insulin products. I got a wavier to use Relion Brand Novolin 70/30 instead of the Novo Nordisk Novolin 70/30. Later in 2018 Walmart Relion Brand contracted with Novo Nordisk to sell Novo Nordisk Novolin 70/30 (and other Insulin products made by Novo Nordisk ) Under the Relion Brand name. I got an exception to use the Relion Brand. What is the difference you ask? Novo Nordisk brand is $165 per vial and Relion Brand is $24.88 per vial. The Aetna copay for Novo Nordisk is $48 on my 5 vial month supply. The Copay on Relion brand is $100 for the 5 vial month supply. The Cost to Aetna is $826, if I got Relion Aetna’s cost would be $125. Something is not right here. My use of Novo Nordisk Novolin &0/30 puts me into the Don’t Hole after four months. I can only conclude that this is Aetna’s goal. Also this articles statement “The Walmart brand of insulins are the older generation of insulins, and so they don’t provide quite the same coverage for blood sugars.” is not correct. Since Novo Nordisk manufactures both brands they are exactly the same. Novilon has been around since the 1950’s, and the patents have expired, but the formulary lists help the Insurance company, that is owned by a Pharmacy Company keep the price of drugs high. I know this is off subject but I run a Boston Terrier rescue and diabetes is not uncommon. The usual insulin prescribed is Vetsulin whose price is spiking. Can you offer any thought on replacement by one of these products?